TK & Kindergarten Open House! Do you have a child who is ready to start TK or Kindergarten next year? 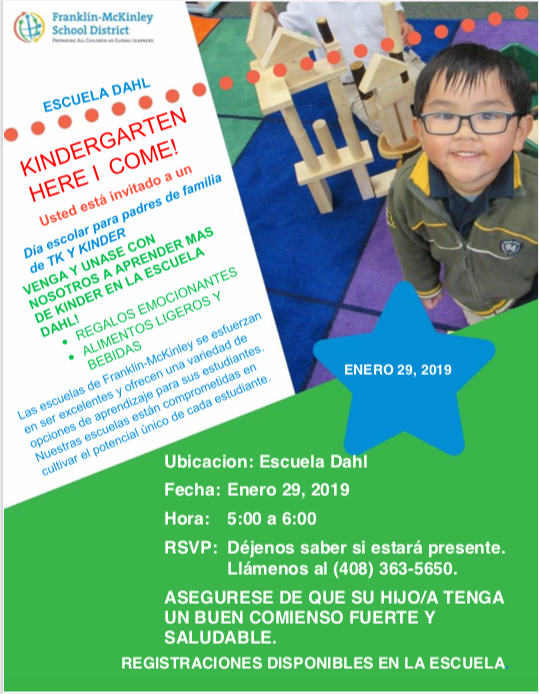 Come to our Open House to learn more! Kindergarten is an important year for a student; there's so much to learn and do and see! For parents, there are many questions that come up when it's time to sign your child up for kindergarten. What forms need filled out? What does my child need for school? What are the important dates to know? What is Transitional Kindergarten (TK)? 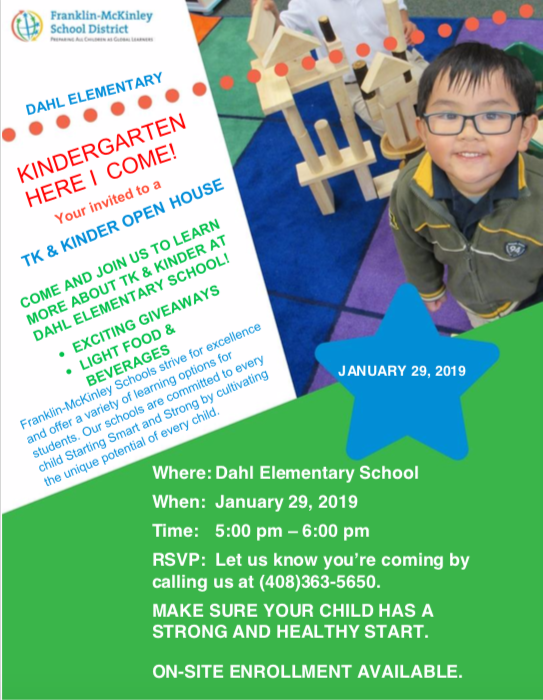 Come to our Open House on January 29, 2019 from 5pm - 6pm to learn more! We'll have some light refreshments to share and giveaways for those who attend!